Croatia head coach Zlatko Dalic feels the English media did not respect his side at the World Cup as the two nations prepare to go head-to-head in a rematch of their Russia 2018 semi-final. Dalic's Croatia and Gareth Southgate's England will meet in a behind-closed-doors Nations League fixture in Rijeka on Friday. It will be the first time the two countries have clashed since Croatia overcame England after extra-time in the World Cup semi-final in July. Looking back at Croatia's triumphant evening in Moscow, Dalic was asked if the English press underestimated his team at the Luzhniki Stadium and the 51-year-old told reporters: "We had a special motive because we felt they didn't respect us enough. Not the players or coach, we respect each other. "They [the press] didn't expect us to be in the semi-final and saw themselves in the final a little too early. We felt extra motivation, and were extra charged because of that. "There always has to be respect in football, but most important is to believe in yourself." 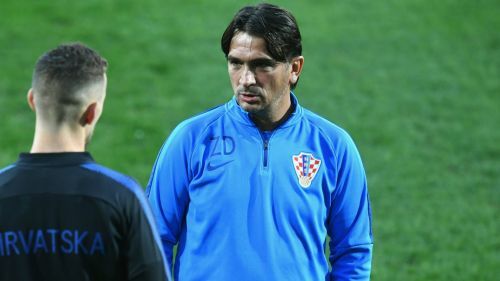 Dalic named Croatia's starting XI on the eve of the match, with Dominik Livakovic, Tin Jedvaj, Dejan Lovren, Domagoj Vida, Josip Pivaric, Mateo Kovacic, Luka Modric, Ivan Rakitic, Ivan Perisic, Andrej Kramaric and Ante Rebic in the line-up. Meanwhile, Dalic questioned the Nations League and its physical toll on players following the World Cup. Liverpool manager Jurgen Klopp described the new international format as "the most senseless competition in the world", believing it places a further burden on players. Asked about the Nations League, Dalic said: "Not a bad idea, not a bad competition. But I think they didn't count in that it's being played shortly after the World Cup, that the players are worn out and didn't have enough time to rest. "They are not robots, they need at least a month-long vacation. And all of them who came pretty late to their clubs were under a great deal of workload and couldn't prepare for the season properly."